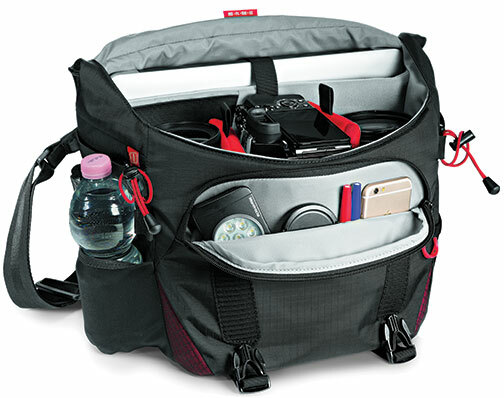 Upper Saddle River, NJ—Manfrotto launched its new Pro Light Bumblebee bags for professional and amateur photographers as well as videographers who work outdoors. The bags are built for the harshest of conditions, including high temperatures, extreme cold and high humidity. 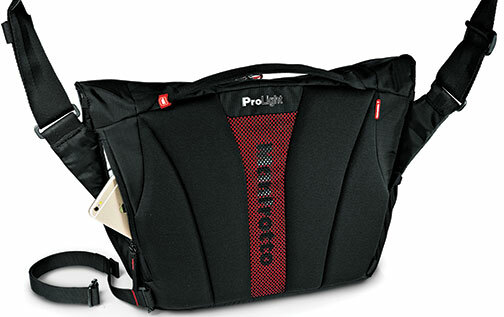 The Pro Light Bumblebee bag collection consists of camera backpacks and messenger bags that embody Manfrotto’s Italian heritage. 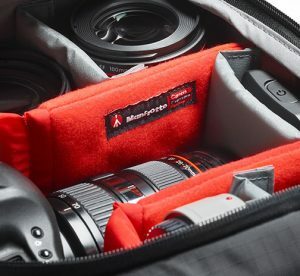 The family introduces Manfrotto’s breathable harness system developed to reduce photography gear fatigue. Moreover, the bags’ interior design safeguards professional equipment options. Manfrotto’s removable Camera Protection System (CPS) dividers protect camera bodies and lenses. 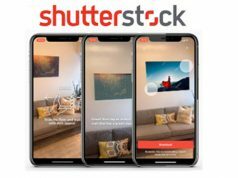 They are fully adjustable and built to distribute weight evenly and avoid tension to the photographer’s body. All the bags of the Bumblebee collection come with a sun/rain cover to protect them from rain, reflect sunlight and keep the gear cool and dry. Manfrotto Bumblebee backpacks are engineered to take stress and heat off of the photographer’s shoulders, neck and lower back. They also feature Manfrotto’s AirSupport breathable harness and back panel, adjustable sternum support and shaped hip and waist support systems. A side handle helps users put the pack on or take it off, while elastic side pockets keep water bottles outside the critical gear zone. 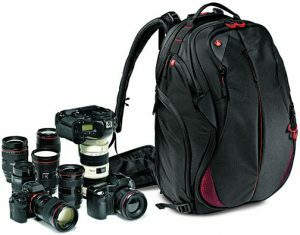 This backpack protects a gripped DSLR with a 70–200mm f/2.8 lens attached and 10 additional lenses or an attached 400mm f/2.8 with five additional lenses. In video configuration, it protects a disassembled modular camcorder like the Canon C100 with numerous lenses and accessories. It also fits a 17-inch laptop in a dedicated padded compartment. 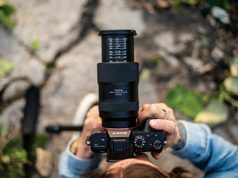 The 130 PL backpack keeps a mirrorless system camera or a DSLR safe with a 70–200mm f/2.8 lens attached and eight additional lenses or an unattached 400mm f/2.8 with three additional lenses. 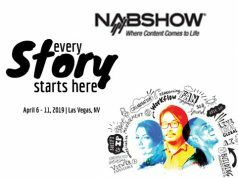 In video configuration, it protects disassembled modular camcorders like a Sony FS-5. It also fits a 15-inch laptop in its own padded compartment. The entire internal space is padded to protect camera gear but also can be configured to accommodate accessories and personal gear. The main zipper comes with four pullers, which can be divided by a stopper into a top and lower compartment. Users can open the top zipper for rapid access to frequently used contents. In addition, a NeverLose tripod connection secures both longer and shorter tripods on the side of the pack. The connection straps are stitched in the side pocket and also can be tucked away when not in use. Furthermore, the bigger Bumblebee-230 PL features a lens pouch located in the waist belt. When not in use, the pouch can be flattened by tightening the webbing strap. Like the backpacks, the Bumblebee messenger bags feature a body-gripping fit and a three-point AirSupport harness system. The harness is breathable and designed for prolonged outdoor use. The length of the strap can be adjusted using the easy-grip buckle. 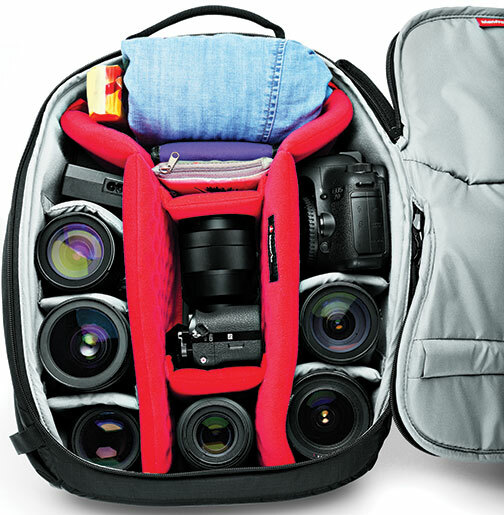 This bag protects a DSLR with a 70–200mm f/2.8 lens attached and three additional lenses. It also fits a handheld gimbal, such as a DJI Osmo, and a 15-inch laptop in their own padded compartments, plus all the necessary accessories. as a 13-inch laptop in their own padded compartments. It can also carry a DJI Mavic drone plus the Osmo gimbal camera. 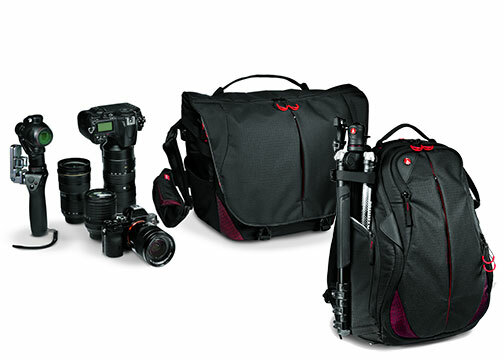 These bags introduce Manfrotto’s XtraSecure handheld gimbal-carrying solution. A stretchable band holds the gimbal’s moving parts so it can be taken out quickly. The area can also be used as a traditional lens compartment if there is no gimbal in the bag. Manfrotto’s Bumblebee Messengers feature a secure silent quick-access flap. When shooting in quiet environments, photographers can apply the NoiseFree Velcro silencer to keep a low profile. In addition, a front organizer keeps everything on hand. There are also two bungee cord straps to hang a small tripod, monopod or selfie pole, which are protected by the front flap. Furthermore, the Bumblebee Messenger bags can hold a gripped DSLR body when the laptop is not in its compartment.